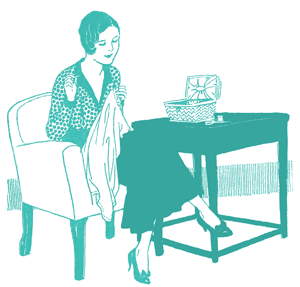 One of the things I really loved about The Sew Weekly was their little guide to a garment, giving the basic facts in a quick rundown. I’d like to do the same for the Historical Sew Fortnightly. Here is my suggested guide to your garment. You’ll see my first one shortly! A very good format, nice and quick to decipher. This challenge has finally made me serious about starting a blog, I’m working on a banner now. I really, really want to participate but I have a question. Can I participate without doing the facebook part? I refuse to join facebook. 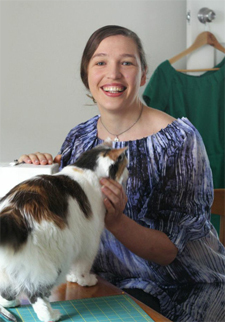 Can’t wait to see your “sew something simple” project! Of course you can participate without facebook – you can do it on facebook, through a blog, or just leave a comment with a link to an online photo album. Stephanie (Girl With the Star-Spangled Heart) and I were wondering if there might be a list made of blogs of those who are participating? We didn’t recognize most of the participants and we can’t get to their blogs through the facebook group. Thanks for posting this framework! I’m working on my blog post now! I have put image on FB too. Love the concept! How historical do garments need tmako be? As in, what era does a garment become historical? Adri, garments should be as historical as you can make them within the bounds of time and budget and you’re experience – so some seasoned SCA seamstresses will hand sew everything to perfect 1300s accuracy, and some of us will do some things perfectly historical, and fudge a little on others, and those who are new to historical sewing will work up to more accurate things. 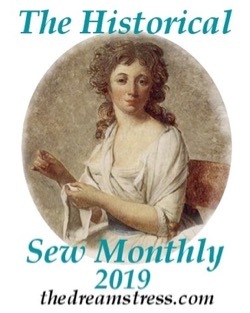 The point of the challenge (for me) is to get people interested in historical sewing, and to encourage higher standards – but we all start somewhere and I’m certainly not judging! For the purpose of this challenge Historical is 1938 or older (so 75+ years). 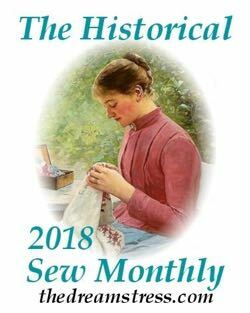 You can find out more by following the links on the Historical Sew Fortnightly page. I’d love to have you participate!